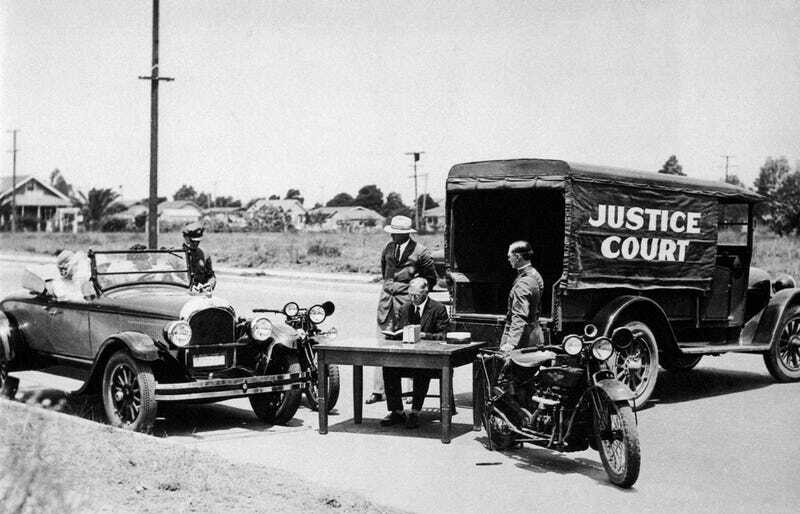 Back in 1926, the town of Inglewood, California had a mobile traffic court that operated out of a truck — complete with a judge, a bailiff, and police officers. In the photo above we see one unlucky motorist in July of 1926 who's been pulled over for speeding. Needless to say, it wasn't the most efficient system and it didn't last very long. Below you can read more about this strange, short-lived experiment in mobile justice.